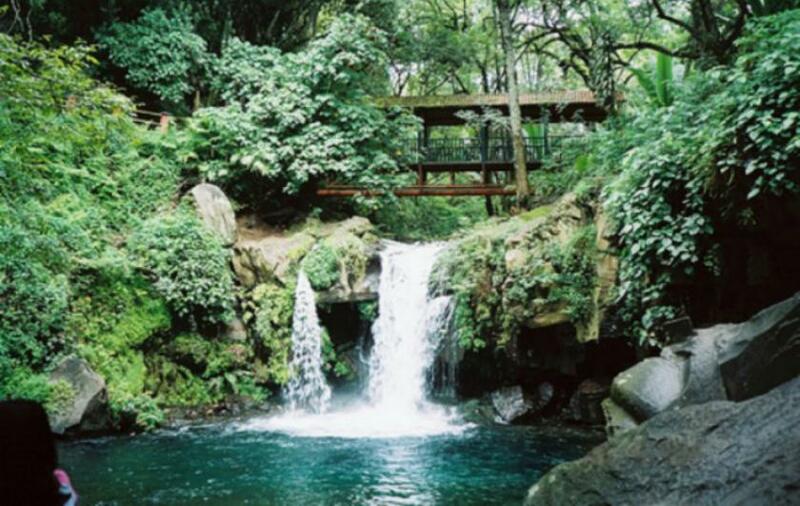 Uruapan is one of the oldest cities in Mexico. Its main natural attraction is the Cupatitzio River (dubbed "the river that sings"), because along its flow are tourist attractions. Paricutín volcano emerged in the vicinity in 1943, scaring away much of the population. The city and the municipality are both the second-largest in the state, behind only the state capital of Morelia. Uruapan is served by Uruapan International Airport. Uruapan has a sister city: Culver City, the street where National Park is has that name (Culver City Street); also, the firefighters of Uruapan received a few years ago personal equipment and vehicles from Culver City and Kansas City Fire Department to do a better job. 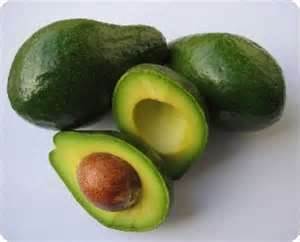 The region is well known for it's agriculture - particularly the production of the finest avocados in the country. There are also extensive orchards of oranges and grapefruit in the Nueva Italia area to the south along Highway 37, and travelers on that route can often come across citrus stands on the side of the highway where sackfuls of these fruits can be purchased at very reasonable cost. This structure, typical of colonial architecture of the area and situated on the square next to the Ex-Convent of San Francisco, was also founded by Fray Juan de San Miguel as a hospital, built in 1533 by Fray Juan de San Miguel, a Franciscan.. Today it houses the Museum of Popular Art. open daily from 9:30am to 1:30pm and 3:30 to 6pm. Admission is free. LA CAPILLA DE LA MAGDALENA - Chapel of the Magdalene. Built in the latter third of the 16th Century, in this Chapel are displayed a large 18th Century painting illustrating scenes from purgatory and the image of Saint Nicholas. For the finest in foot-loomed, brilliantly colored tablecloths, napkins, and other textiles, take a taxi to Telares Uruapan (tel. 452/524-0677 or -6135), in the Antigua Fábrica de San Pedro, Calle Miguel Treviño s/n. Call ahead, and the English-speaking owners may be able to give you a tour of the factory. The National Park Eduardo Ruiz is home of "La Rodilla del Diablo", the source of the river which courses through the city and out toward "La Tzaráracua" and "La Tzararacuita", waterfalls on the southern outskirts of the city, and flows into the Presa Infernillo and eventually the Pacific Ocean. Hotel Mansion del Cupatitzio - Most consider this the best hotel in town, next to the national park, Parque Eduardo Ruiz. It has plenty of amenities, including a good restaurant, a large pool, and a lovely garden. Casa Chikita B & B - Located in the heart of the city Uruapan, Casa Chikita is located a short walk from the "Morelos" square, "Parque Nacional", "Fabrica de San Pedro", stores, restaurants and bars. Hotel Plaza Uruapan - Directly in front of Uruapan's main plaza you can find 122 luxurious rooms with a great restaurant. Mi Solar Bed and Breakfast – The oldest hotel in Uruapan has been magnificently restored to its original style as a boutique hotel, with excellent details that place it in four stars category. With all the charm of the old world and a homey atmosphere, guests can enjoy all the modern commodities that everyone would expect in a modern hotel. ​Hotel Villa de Las Flores - This is an attractive yet economical lodging option. Ask for an inside room, not a room on the downstairs courtyard. The rooms are not bright, but they're comfortable. The hotel is just a block or so from the downtown plaza. 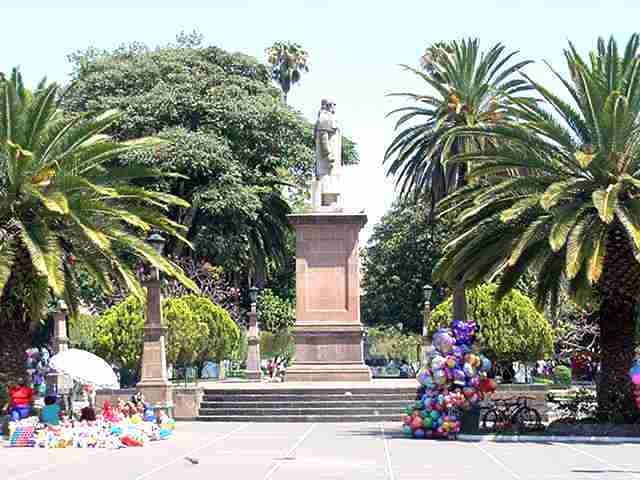 The largest Art Fair in the state of Michoacan takes place in Uruapan in the Main Central Plaza the week between Palm Sunday and Easter. It starts (every year) the saturday before Domingo de Ramos. 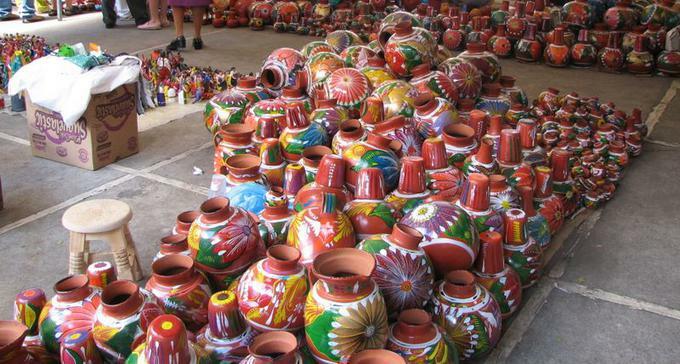 The Fair offers a variety of artisan crafts, not just from Michoacan but from neighboring states. For lovers of the arts and culture of Mexico, few dates are as anticipated as Palm Sunday in Uruapan, Michoacan. Tianguis Artesanal de Domingo de Ramos, the Palm Sunday Artisan Festival, is a true celebration of folk art and the indigenous culture in all its many forms. 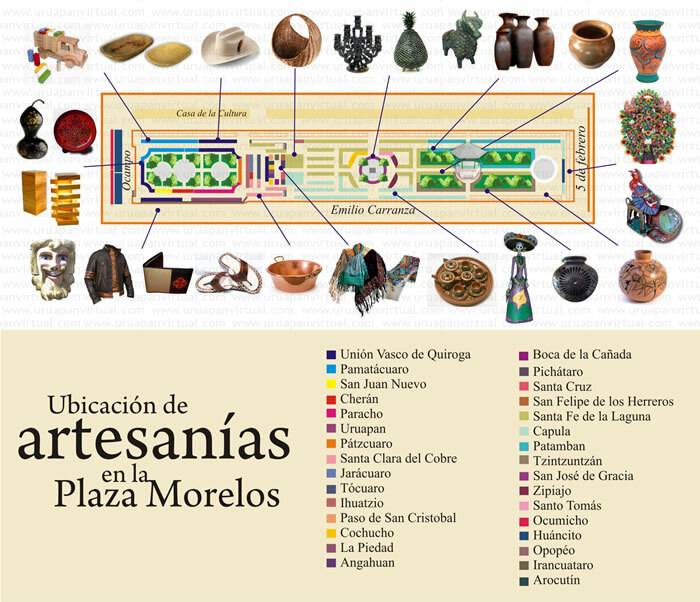 The Artisan Festival is the largest in Mexico and attracts nearly two thousand artists, cooks, craftspersons, weavers, dancers and contestants from all over the state of Michoacan. The Parade of Villages will open the festivities on Saturday before Palm Sunday, when the indigenous residents parade in their traditional, native dress. Most villages are represented and many carry examples of their local craft, proudly showing their work. Some throw samples of their crafts, like the New Orleans Mardi Gras parades throwing beads. The parade ends at the central plaza where the artisans display and sell their crafts. 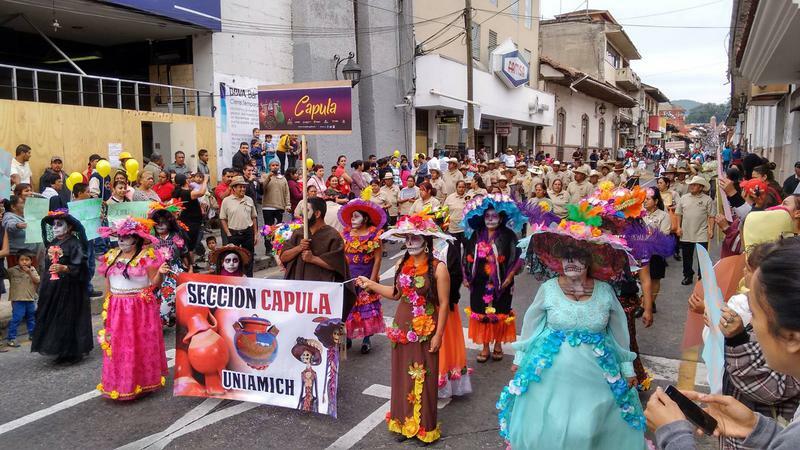 One of the many events taking place during Semana Santa is the Concurso de Artesania de Domingo de Ramos, the Crafts Contest, with cash prizes for the best crafts in Michoacan. This year the concurso is at La Casa de La Cultura on Calle Garcia Ortiz #1. All crafts are for sale after the judging and don't be surprised if you see a stampede to favorite artists. View the best of Michoacan from 10am to 7pm. 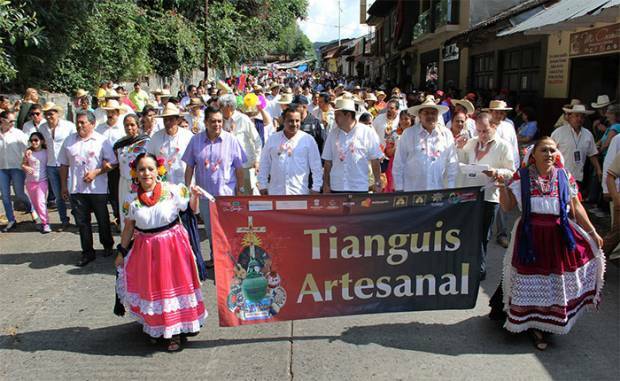 One of the most popular events during Semana Santa is the Tianguis de Artesania, the Artisan Crafts Fair, held in the central Plaza of Uruapan. As with all tianguis, opening hours are not set, while quality and price varies, but if it's made in Michoacan, you will find it there. There is also a contest for regional clothing in the Concurso de Traje Regional during the Palm Sunday market. Don't miss the pleated skirts from Santa Fe de Laguna. The culinary arts are represented at the Food Court, offering regional food, including the best squash blossom quesadillas I have ever tasted. As usual, it was a genuine, family affair. Grandmother was grinding the corn for the blue tortillas and placed them on the comal. Her daughter supervised assembling the quesadillas, while her daughter was plating and serving them. The great-grandmother handled the sales, while their ever-present dog kept an eye on everything. At the artisan festival, the arts are thriving. 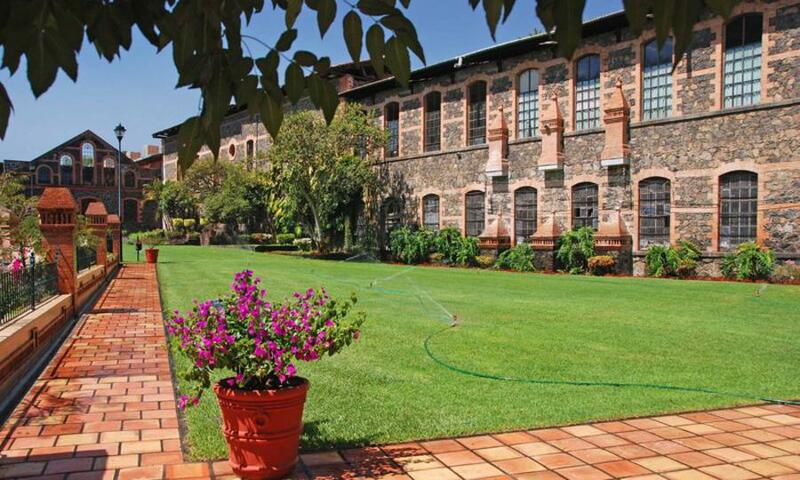 Several blocks from the Plaza is the Fabrica San Pedro, a textile factory built in the late 19th century, with one of the largest water-powered mills in the region. Americans Walter and Bundy Illsley, long-time residents, bought the mill in the late eighties. Telares Uruapan, still produces hand-loomed natural fibers in traditional local as well as custom designs for export all over the world. Open every day except Sunday.